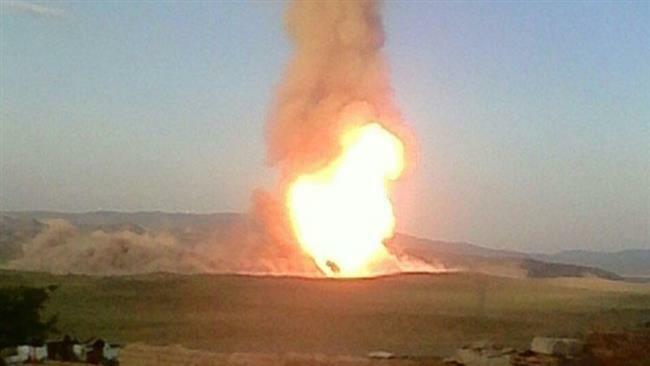 At least two people have been killed in an explosion on a gas pipeline in southeastern Iran, the Fars news agency says. The pipeline between the cities of Bazman and Zahedan in Sistan and Baluchestan province exploded on Monday as workers tried to test it, Fars quoted managing director of the province’s gas company Mohmmad Hassan Tehrani-Moqaddam as saying. Water was being used for the test at the time of the explosion, the official said, adding the “depth of the disaster would have been far larger which would have created many problems” if there had been gas in the pipeline. The main pipeline in the region is the one which is intended to take Iranian gas to Pakistan. Iran built the 900 km length of the pipeline on its territory in 2013, pending Pakistan’s completion of its section to start the gas flow. Islamabad has fallen behind the target to take gas deliveries in the winter of 2014. Pakistan has dragged its feet under apparent pressure from the US which is supporting an alternative pipeline called TAPI. It is much costlier than the Iranian route and has to cross the volatile Afghanistan in order to take Turkmenistan’s gas to South Asia.